If you’ve purchased a product that has methylparaben in the ingredient list, you may have some concerns over whether it’s safe to use. After all, you’ve probably heard about the dangers of parabens and even claims about the link between parabens and cancer. What doesn’t help, however, is the large amount of conflicting information about methylparaben. For example, some skin care experts and skin bloggers seem to take a definitive stance against this chemical, or any other paraben. At the same time, studies by the Cosmetic Ingredient Review and other organizations suggest that the dangers of methylparaben are somewhat inconclusive – with the general consensus being that parabens are overall safe when used below certain concentrations. To better understand this ingredient, let’s consider how it works and what some of the potential dangers are. Methylparaben belongs to the paraben family of ingredients, which all act as preservatives in skin care products. 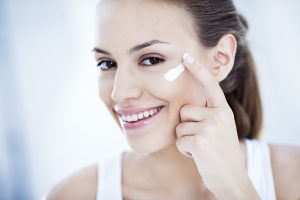 Typically, this chemical will be formulated into creams and serums with other parabens, like butylparaben and propylparaben, though in some cases it may be used on a standalone basis. The goal of methylparabens and similar chemicals is to prevent the growth of bacteria and fungus. By limiting the growth of microorganisms, this ingredient helps preserve the integrity of skin care formulations for a longer period of time, and also protects the consumer from inadvertently adding contaminated products to their skin. What Products is Methylparaben Used In? Methylparaben is used in many skin care and personal care products, like moisturizers, shampoo, conditioner, eye shadow, sunscreen, and many other items. One product that includes this ingredient is the Hada Labo Gokujyun Lotion. In addition to methylparaben, this cream also contains chemicals like sodium hyaluronate, to moisturize the skin; butylene glycol, to condition the skin and at the same time act as a preservative; and succinic acid, to moisturize. Another item formulated with methylparaben is the CeraVe Moisturizing Lotion. Additionally, this lotion contains chemicals like glycerin, a common moisturizer; ceramides, to fortify the skin’s moisture barrier; capric triglyceride, to moisturize the skin; and niacinamide, to improve skin elasticity and reduce hyperpigmentation. When it comes to anti aging skin care, methylparaben is present in serums like the Boots No7 Pore Refining Serum. In addition to this preservative, the serum also has ingredients like squalane, to add moisture to the skin; black willow bark extract, due to its content of pore-cleansing salicylic acid; and tetrasodium EDTA, to further help preserve the serum formula. One of the concerns with methylparaben is its potential link to cancer. For example, some studies have found a correlation between breast tumors and the presence of parabens. However, these chemicals have not been banned, because the link does not seem to be conclusive. Correlation does not necessarily equal causality, and studies have not definitively established parabens as the cause of such tumors. The more direct effects of methylparaben (and other parabens) on the human body seem to concern the endocrine system. This system is important for human health, because it regulates our hormones. It’s an important consideration, because hormones play a huge role in how our bodies function. For example, high levels of estrogen are believed to be linked to higher occurrences of cancer. High levels of stress hormones (like cortisol) can lead to chronic fatigue and weight gain. It’s really amazing how much the function of our bodies can change from even small shifts in hormone secretions. The potential danger of methylparaben is that it can affect the endocrine system, and the hormones that are being produced. This can in turn affect metabolism and other bodily functions. Further, methylparaben is thought to mimic estrogen to a degree, which can further disrupt normal bodily function. 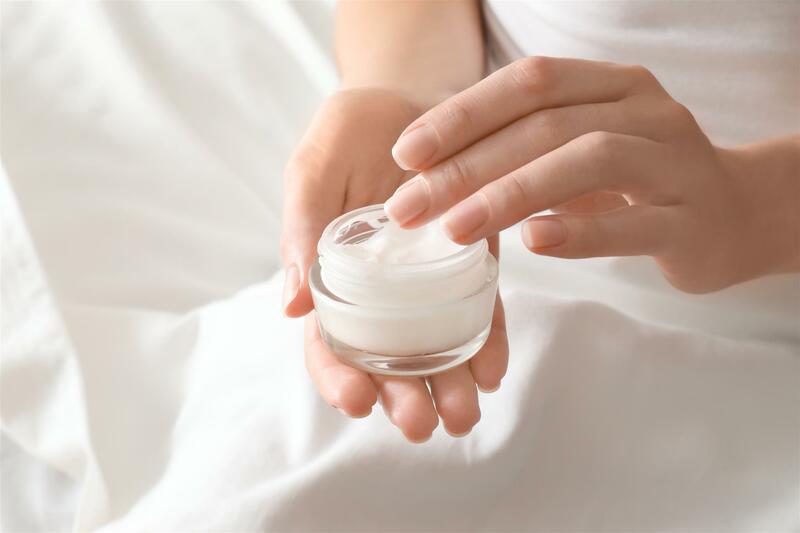 Another concern expressed by opponents of using methylparaben in skin care is that this chemical may potentially contaminate the environment. For example, discarded cream tubes and jars will still have small amounts of product in them, and particles of this chemical may also make it into oceans and rivers as it is washed off the skin while taking a shower. However, at the moment it is not believed that methylparaben is a serious threat to the environment, as this chemical can be broken down by bacteria commonly found in soil. Unfortunately, the data still seems to be inconclusive on whether methylparaben is actually safe. There are certainly some concerns about the effects it can have on the body, especially with long term exposure. The potential for endocrine system disruption and the links to growth of cancer are certainly alarming. At the same time, this ingredient can be difficult to escape without being vigilant, because the general consensus in the skin care industry is that parabens are safe when used in low concentrations. Therefore, the decision on whether to use products with methylparaben is a very personal one, and should be discussed at length with a doctor who knows your medical history and your personal risk of developing cancer or other serious diseases.